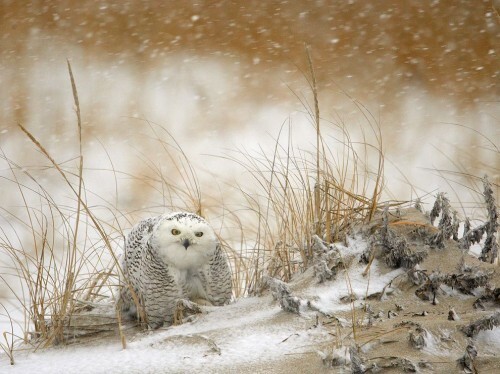 This snowy owl was captured during a snowstorm. Unlike most owls, which are nocturnal, snowy owls are diurnal—they hunt and are active both day and night. I really colu’ndt ask for more from this article.